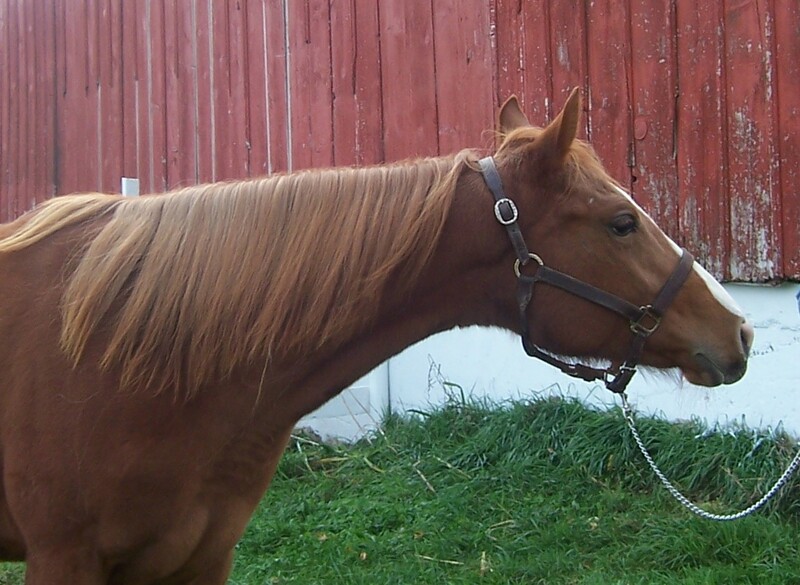 At Sandy Meadows Farm, we routinely offer for sale super prospects to finished show horses. 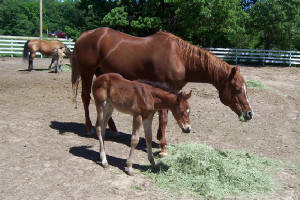 Also see our broodmares on their own page. 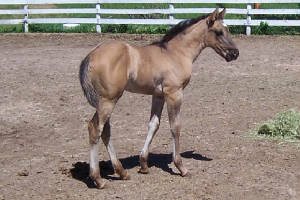 Some are for sale and can be bred to Undun Wind or left open for the stallion of your choice. We accept Most Major Credit Cards through Paypal. Click on the Paypal Logo Below. Get your show horse right here and save a ton of money! Not into showing, but want a top quality horse at an affordable price? We are here to help you do just that! If you are looking for a super 4-H, FFA, Open or breed show horse, get these great horses while they are on Sale! Call and ask about our Special prices. We NEED to lower our numbers here this month so are slashing prices. The Dr. says Bob can't work this hard anymore, so you are in a position to get top bred horses at ridiculously low prices. Just need to have less to care for. Don't miss your chance to own a top bred horse for next to nothing! Email or call for this special pricing! We are now working the young horses, and as they get under saddle, their prices will go up then. Get them now at reduced prices and do your own 'primping' and riding and save a Lot of Money! June 28, 2006 Cremello Stallion. 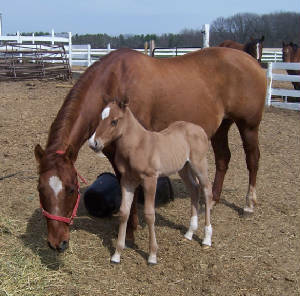 Son of Dun It 2000 by the great Hollywood Dun It and out of Mescalito Ches, buckskin mare by Mescalito Benito and Soxy's Amber Chex. Reining bred in the purple. 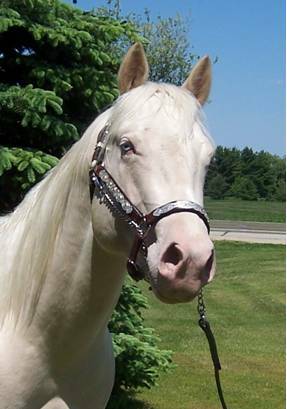 This stallion is a grandson of the immortal Hollywood Dun It and will give you guaranteed color! 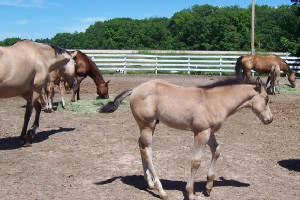 Bred to chestnuts, you get palominos; bred to bays, you get buckskins! Has been lightly started, but due to owner's illness, not finished. Finish breaking him out, show him and/or stand him at stud. anyway you look at it he is a great addition to anyone's reining and/or breeding barn. His price will range from $3,500 to $5,000 depending on how many breeding rights we keep. 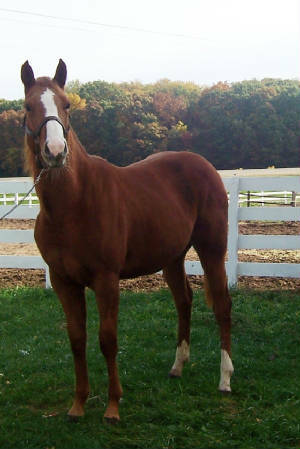 Cool As Undun (pending) ~ Gorgeous Yearling Bay filly with the look and chrome to take to you to the top! 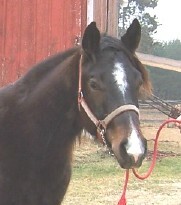 She can halter with the big girls at AQHA and then ride, ride, ride! She has full brothers and sisters who are World Champion and National Champion All Around horses! She is a full sister to Unduns Cool Kelo, 2007 IBHA National All Around Performance and All Around Open Horse! If you want a horse, people say “Ooo and Ahh” over, this is the one! Get her now before we start showing her and she is still reasonable in price! She has a disposition to die for. One of the friendliest foals we have ever had and that is saying a lot as Undun Wind has a trademark for easy going, trainable dispositions on his foals. New photos soon. $1800. Cool As Undun (pending) ~ Gorgeous Bay filly with the look and chrome to take to you to the top! She can halter with the big girls at AQHA and then ride, ride, ride! She has full brothers and sisters who are World Champion and National Champion All Around horses! She is a full sister to Unduns Cool Kelo, 2007 IBHA National All Around Performance and All Around Open Horse! If you want a horse, people say “Ooo and Ahh” over, this is the one! Get her now before we start showing her and she is still reasonable in price! She has a disposition to die for. One of the friendliest foals we have ever had and that is saying a lot as Undun Wind has a trademark for easy going, trainable dispositions on his foals. $5000. 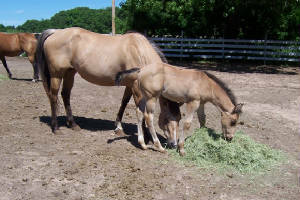 Undun Zipped My Chex ~ Grulla yearling filly out of Buckskin reining mare, Mescalito Chex and by Zips Undun Leaguer, grulla son of Undun Wind out of Kay Cee Leaguer daughter.. This tremendous filly will be an awesome All Around Western Performance horse. 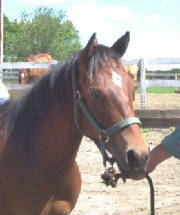 This filly unfortunately has a hip problem so can't be used for riding, but could probably still be a great broodmare. $500 for her as she is. If we put more vet bills in her, the price will go up. She walks sound, but definitely is off at the trot. 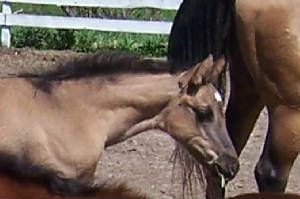 Unduns Skipa Jack ~ Red Dun Colt ~ Out of Skip This Skip That, IBHA Res. 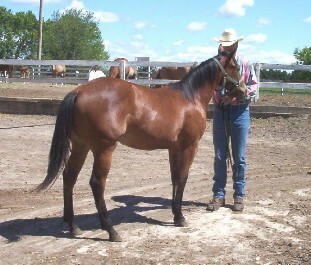 World Champion halter mare and by Undun Wind. Skip This Skip That is all Weiscamp breeding and it shows in her foals. She is also for sale separately , bred back same way for 2012. This big stout colt will halter now, lungeline next year and ride in the future. 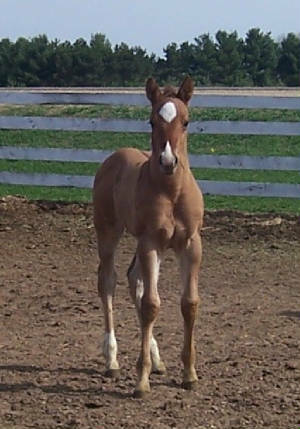 Great, personable colt anyone can handle. Full siblings are top show horses. Eligible for APHA, IBHA, ABRA, and American Ranch Horse shows. Long Yearling ~ Over 15 hands already! 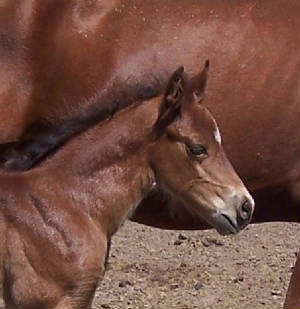 4/26/03 Bay Filly out of Vantilly Lace, multiple winner of both Halter and Western Pleasure futurities in AQHA, then went on to be WQHA High Pt. Reining Horse! By Undun Wind. This filly has all the tools to be a top all around mare for anyone. Full brother is WFQHA World Champion Yearling Gelding. Full sister has AQHA Reining pts. and IBHA reining, western pleasure and halter pts. Another full sister is an IBHA Champion with pts in both English and Western; open and amateur. This filly will be tall and athletic and should be just as successful in the show pen and then be a super addition to anyone's breeding program. Very easy to work with.